When students take a course, they define success in any number of ways: good grades, learning new skills or expanding their knowledge, to name a few. You’ll find very few, however, who define success as experiencing failure. Yet, a new design and making course at the University of North Carolina at Chapel Hill is teaching students that in order to move forward, they must first endure a few steps backwards. 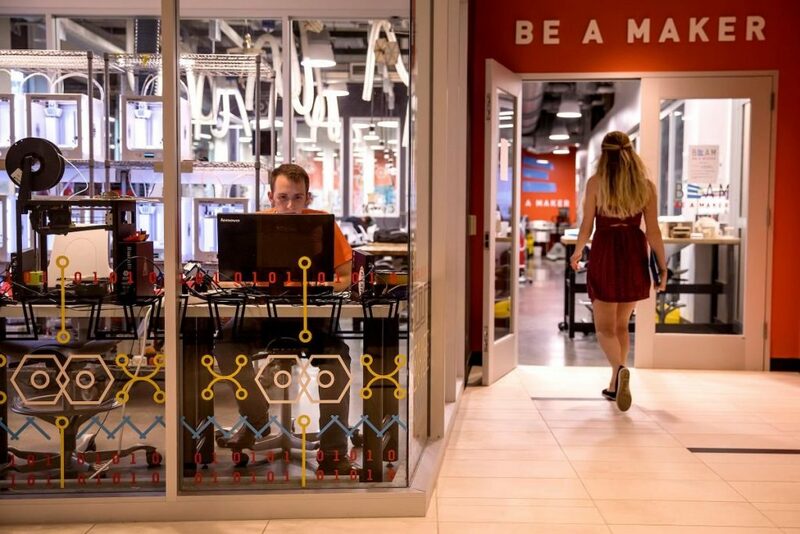 Coming off a first successful semester in the spring of 2018, the course Introduction to Design and Making is exposing Carolina students to the coolest state-of-the-art technology, while also proving that hard work and perseverance through failure can be rewarding. The course, which is offered through the Department of Applied Physical Sciences as APPL 110, sparks innovation through creative prototyping. 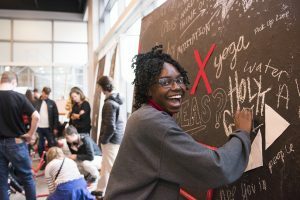 It’s designed to incubate an entrepreneurial mindset in students, while arming them with the tools to make objects they can share with friends or even put on the market. Innovate Carolina provided materials and additional resources, serving as a catalyst to jumpstart the course. 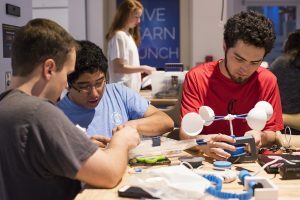 As the University-wide initiative for innovation and entrepreneurship (I&E), Innovate Carolina and its partners in the in the I&E campus network provide students, faculty and staff with the tools and resources they need to turn their ideas into innovations. But the course is not for the faint of heart. Accepting and learning from failure can be the most challenging concept for students to grasp. In this class, failure is embraced and even celebrated. 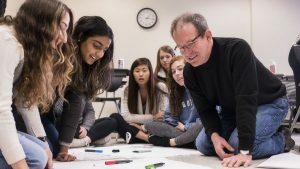 “The goal is to be successful with assignments, but you’ll have to fail – maybe multiple times – to get there,” says Walters.